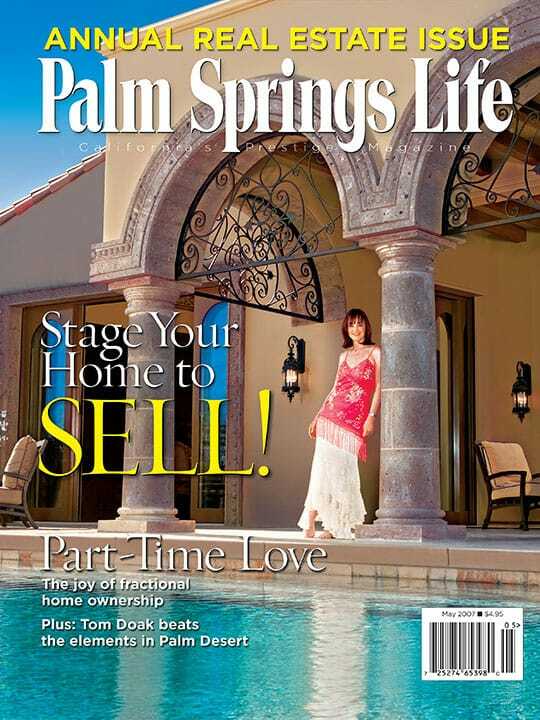 View cart “Palm Springs Life Magazine April 2007” has been added to your cart. 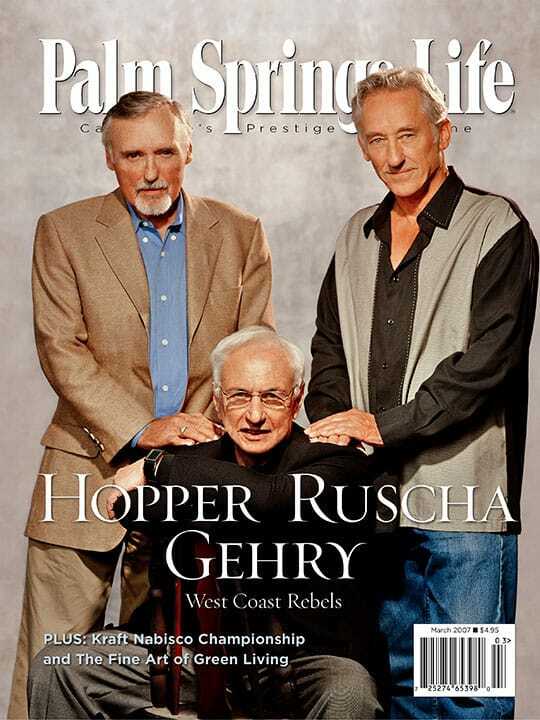 ON THE COVER – James Galanos at his Palm Springs home. Photography by John Aigner. You picked ’em! 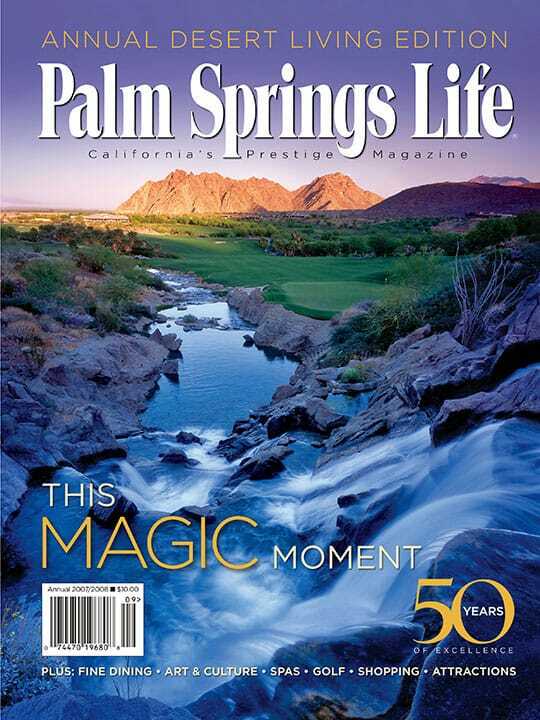 A survey of Palm Springs Life subscribers reveals the most popular local attractions, restaurants, and more! By Rod Stafford Hagwood. Photography by John Aigner. James Galanos dressed the best with a style rarely seen today. By Dawn Moore. Photography by Deborah Anderson. A passion for preservation returns a historic property to its seductive side. Travelers are trading spaces across the world – and in your own back yard. Who will you call when you need dental care? Meet Coachella Valley’s top 52 dentists as chosen by their peers. Tails of the city; a touch of magic at Gameroom Gallery; sounds like home with Ray and Cheryl Kelley. Plus: Intelligencer. The Mercedes-Benz CLK63 AMG Black Series suits the racing crowd. Napa Valley wineries showcase the best in art and architecture. Early prospectors relied heavily on beasts of burden. A monumental exhibition at Palm Springs Art Museum, fresh paint in the High Desert, and the most comprehensive calendar of visual and performing arts events and venues.